Trying to understand softball pitching can be a maze of confusion. But it doesn’t have to be. Let Cindy simplify it for you in her brand-New Comprehensive Pitching Blueprint! If you’ve ever wondered how to make pitching easier to understand and to teach, then your wait is over. There’s no question that we make softball pitching way too confusing. We think because pitching is difficult that it has to be complicated and so we tear it into teeny tiny pieces, accept ridiculous concepts as fact, and then wonder why our pitchers are mental basket cases. But it doesn’t have to be that way – and in the brand-new Comprehensive Pitching Blueprint I’ll show you why. Note: I know I promised you a Part 2 to last issue’s article on “5 Things the Best Teach About Pitching,” and it will be in our next issue of the SE Insider, I promise. It’s just that I’m so excited about this new eClinic detailing all my current thoughts and discoveries on pitching that I couldn’t wait to share it with you. If you’ve ever wondered how to make pitching easier to understand and to teach, then your wait is over! In this brand-new eClinic release, I take you through an almost 3-hour pitching journey into the ins and outs of pitching. I call it The Comprehensive Pitching Blueprint because in it you’ll learn the truth behind the pitching motion, how to pitch faster, and with more control of your pitches. You’ll also learn the most effective ways to practice so your pitchers can have success in games, plus tons more! The Comprehensive Pitching Blueprint will give you tons of great new drills to help your pitchers with their Speed, Control, Balance and Command of all of their different Pitches. 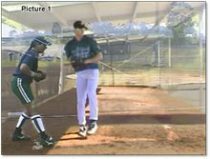 This brand-new eClinic also has an incredible video that will take the mystery out of pitching by showing you how much pitching underhand resembles throwing overhand. Here’s a sneak preview of what you’ll learn when the video of a softball pitcher is overlaid on a baseball pitcher. The Comprehensive Pitching Blueprint is packed with tons of incredible pitching nuggets and answers to your most frequently asked questions. I teach this entire eClinic in a way that makes pitching easy-to-understand, logical, and hopefully funny. My goal is to take the mystery out of pitching, while making it logical and fun to learn. Why Our Pitchers Can’t Do It in Games? Buy it Now – The Comprehensive Pitching Blueprint: How to Understand It All! GREAT NEWS – If you’re already a Vault Classic member then this The Comprehensive Pitching Blueprint is already in Your Account. If you want to save, and get this great new eClinic, along with hundreds of hours of other great drills and instruction, then become a Vault Classic member today!